In South Florida Mercedes Benz Battery Replacement is a very common service as here in Florida batteries wear down faster because of the heat. Every owner is well aware that the Mercedes Benz driving experience is second to none and it is very technically savvy throughout every component of the vehicle. The lighting system, power windows, retractable sunroof, air conditioning unit, hydraulic braking and clutch system, are some of the parts that perform to make the complete driving experience. They need a large amount of amperage which comes from the battery, which is the heart of the charging system for the Mercedes. For this supply to continually run and supply power the vital role of the Mercedes Benz Alternator is critical to the battery to perform at its best. 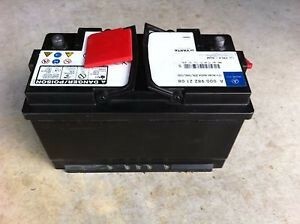 As mentioned before, the mother of the electrical system of the Mercedes Benz is the battery. Electrical components function because of the battery. Starting the car comes from the battery. But the battery needs to be charged, otherwise the battery will be drained in the long run. Then all the electronic components such as the power windows will not function properly and the car will not start. This is where the Mercedes Benz Alternator comes into the picture. It charges up the battery continually and provides just the right amount of power. Situated at the engine compartment of the Mercedes Benz, the Mercedes Benz Alternator is activated by an alternator or serpentine belt. This electromechanical device converts mechanical energy into alternating current while running. The principle here is to have a steady stream of voltage to supply the vehicle. This is imperative since batteries run out of charge. It is the chief source of energy, supplying the right amount of charge to the parts of the Mercedes Benz electrical system. The Mercedes Benz Alternator works simultaneously with the battery. After converting the mechanical energy into an alternating current, the Mercedes Benz Alternator charges the battery. It is responsible for starting up the engine and other electrical components. The regulator, meanwhile, maintains the designated amount of voltage. All electrical components working sufficiently rely heavily on the battery being charged properly be the alternator. it is a must to conduct periodic check-ups and maintenance on the alternator to work efficiently in the long run. It may not be that easy to tell whether the Mercedes Benz Alternator is not working properly. Signs that the alternator is not working properly include slow starting a clicking sound ,The battery may work for a limited time but it will not last without the alternators charge. Lack of knowledge won’t be a hindrance in maintaining the functionality of the Mercedes Benz Alternator. Have one of our Bosh factory trained technicians measure the amperage and voltage output of the alternator. If there is a low output, it may be time to replace it. Fixing the alternator will cure the short-term problem, however it is best to replace the alternator completely.